The Library Scholar Scholarly Communications Internship in the Scholarly Communications Office offers students an opportunity to work on digital scholarship, book publishing, or scholarly communications projects. Over the course of one semester, students will work individually and in teams to gain hands-on experience creating faculty profiles, managing copyright, promoting scholarship, and working in the open access platform Bepress. These skills will aid student success at the university and after graduation. For more information, see Scholarly Communications and Digital Scholarship or contact Kyle Morgan, Scholarly Communications and Digital Scholarship Librarian, at kyle.morgan@humboldt.edu. Students will be able to express and critique issues of open access, copyright, and academic publishing from first-hand experience. 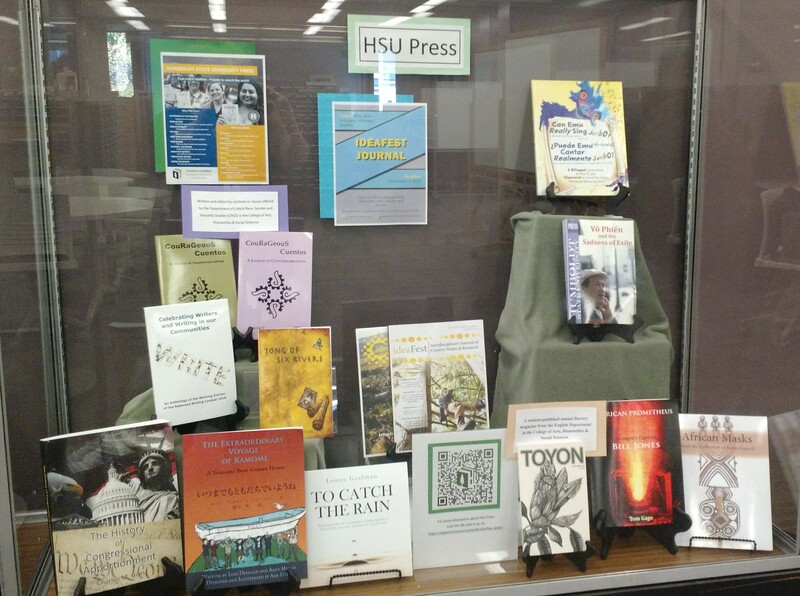 Humboldt State University Press (digitalcommons.humboldt.edu/hsu_press) - students were given an opportunity to market open-access works published in open access through HSU Press. Over the course of one semester, students learned consultation strategies, social media marketing skills, alternative publishing opportunities, bibliographic research, website development, interviewing practices and application, and video editing. Interns developed author relationships, contributed to marketing templates, and learned narrative and visualization techniques to connect scholarly output to broader audiences. SelectedWorks Author Gallery - students built the first open-access platform for HSU faculty and student profiles. Scholarly Communications works to foster collaboration between HSU students and faculty in advanced studies of digital humanities. Interns were encouraged to make connections with faculty and develop projects that merged scholarly output with technological tools and social media. Internship opportunities are posted online through Human Resources, Handshake, and the HSU Library website and Facebook page. I hope to gain skills and a perspective about digitizing written material in an era where this seems to be a necessary project.